Penrith Castle was built in the 14th century to defend the town from the Scots. It was later expanded by King Richard III but fell into disrepair in the 16th century. 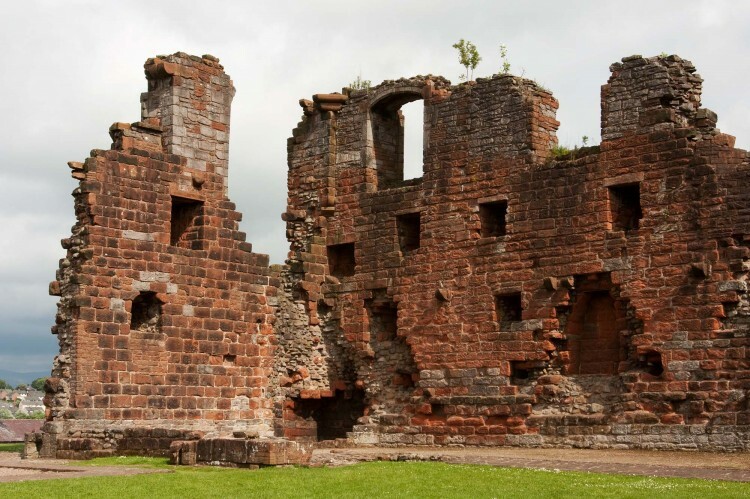 It lies within Penrith Castle Park and is accessed by a small wooden footbridge that crosses the castle’s moat. Facilities in the park include a putting green, children’s play area, crazy golf, tennis courts, bowling green, toilets and café. The castle is maintained by English Heritage and admission is free. Opening times are April 1 to September 30 7.30 am to 9 pm, October 1 to March 31 7.30 am to 4.30 pm. Penrith Castle Park is situated on Ullswater Road to the south west of Penrith town centre, close to the train station. Visitors travelling by car should leave the M6 at Junction 40 and take the A592 (Ullswater Road) to Penrith. The castle is ½ mile on the right. 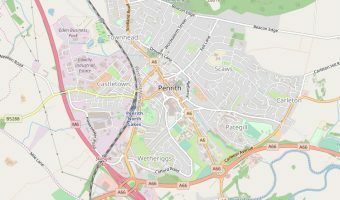 Map showing location of Penrith Castle.